After 37 years teaching, mentoring, and touching the lives of students at Salt Lake Community College, Curtis Youngman has retired. The world is now short a valuable, passionate educator. It is the responsibility of those who benefited from Curtis’ guidance to fill that void. 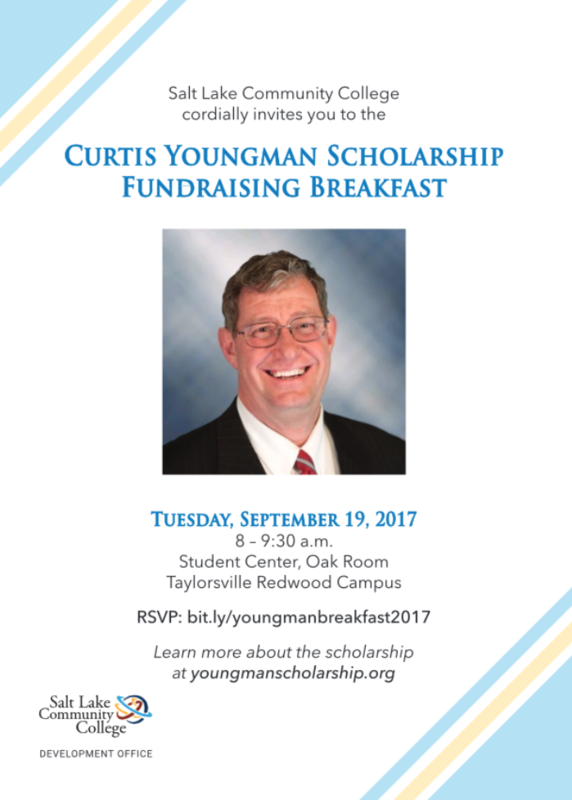 A scholarship will be created in Curtis’ name to continue to fuel, support, and encourage those who have chosen to pursue a career in education, so they will carry on Curtis’ spirit and passion in mentoring and touching the lives of future generations.